When the really cold weather hits, I don't have much specialized winter gear to help me deal with the frigid temperatures beyond layering as needed. Long underwear and wool socks get me through the worst of it. Staying comfortably warm is obviously essential if you plan to cycle through the winter, but the other key to surviving the season is ensuring that you are visible to other road users. 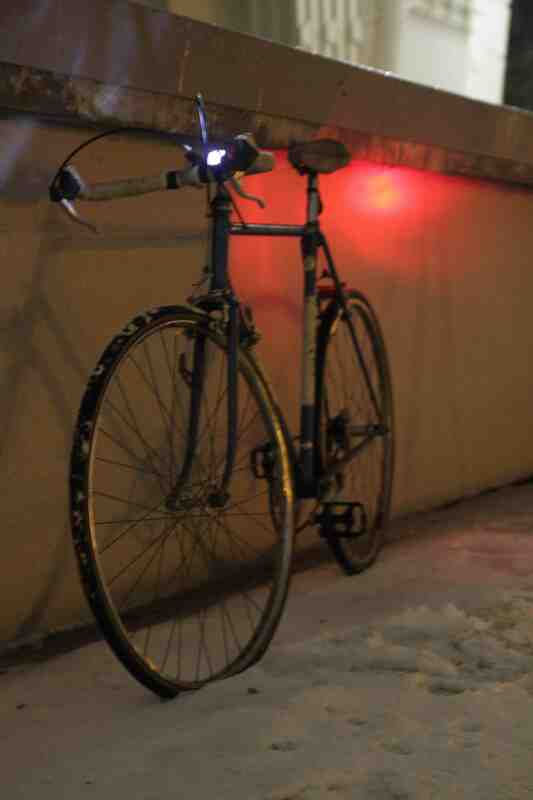 And with shorter days, darkness arrives earlier, so a well-lit bike is absolutely necessary. 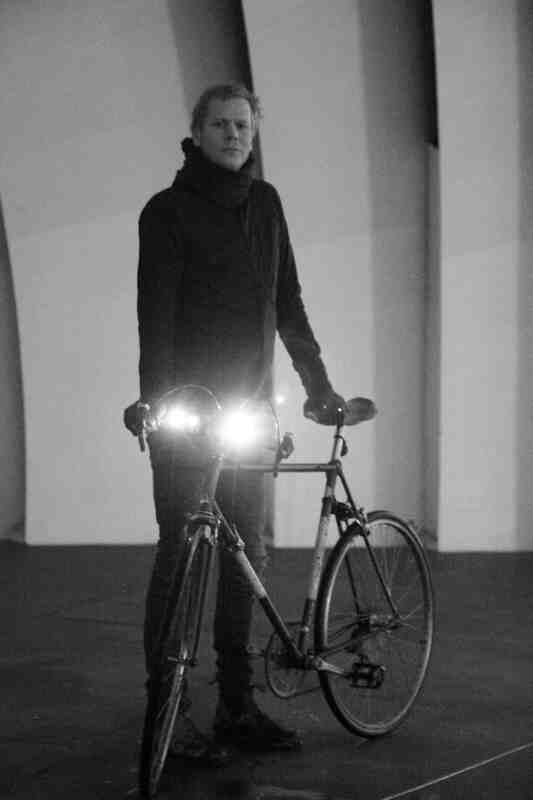 I am regularly astonished to observe fellow cyclists out in the dark without lighting. As an occasional motorist I know how difficult it can be to notice unlit cyclists at night, especially on less illuminated side streets. Motorist collisions with cyclists and pedestrians are also far more common during the winter months when early morning and evening commutes take place outside of daylight hours. Get yourself lit! These days there is a great selection of easily removable and rechargeable light accessories to attach to your bike, bag, helmet etc. I love that many of these products are conveniently USB rechargeable, an excellent recent development in consumer electronics. I highly recommend taking your lights with you each time you park your bike. I can't imagine there is much of a resale market for bike lights, and I refuse to believe that other cyclists are swiping them for their own use, but in any case, it is not uncommon for bike lights to get nabbed off your unattended ride. So light yourself up and blaze through the cold winter nights, riding confidently visible with flashy panache. 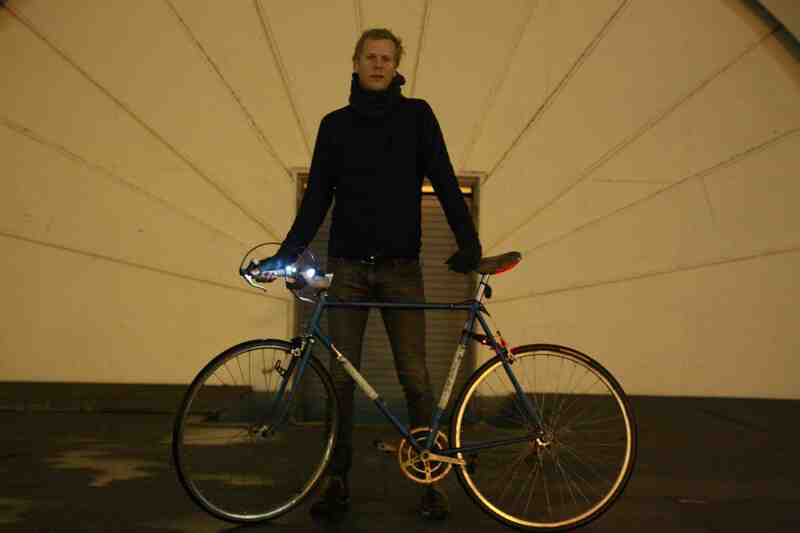 Recapping: What do you need to bike in winter: Bike lights + layers and wool socks! Winter 2014 homepage: read all nine here. Matt Talsma is a dandy web editor, story contributor and year-round cyclist.